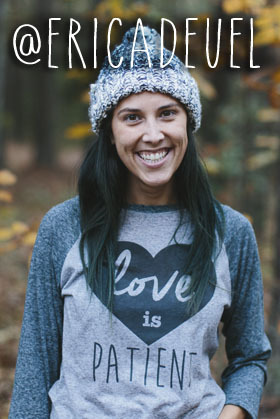 I am excited to share with you two things I love today. 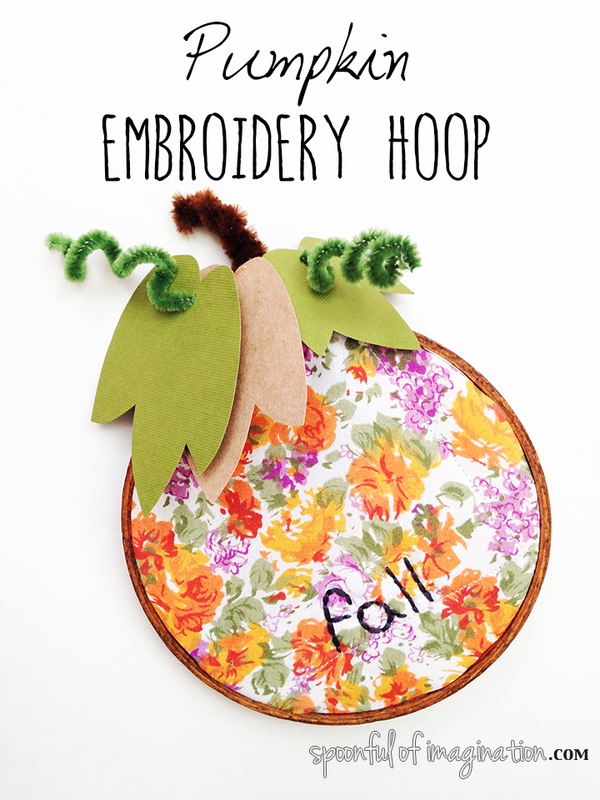 My love for fall and my love for embroidery hoops have been combined in one post. Pumpkins are everywhere in the fall. 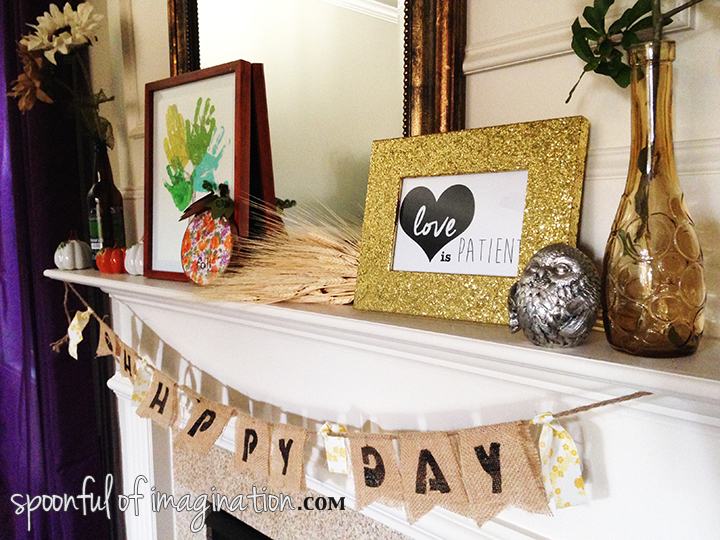 Why not make some flat ones to sit on your mantel or place on your wall? 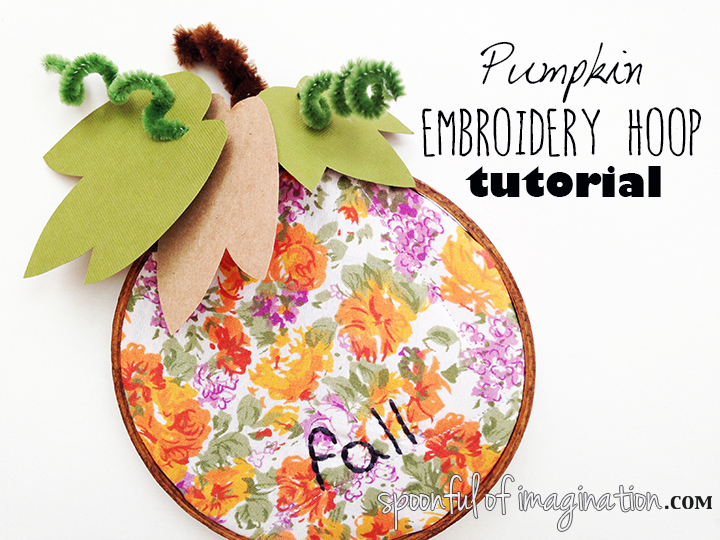 Let me quickly show you how to make your own embroidery hoop pumpkin. I started with some basic supplies I had on hand. I used a left over square from my bed’s rag quilt. I liked the orange and purple flowers. It was a fun pattern with fall colors. I placed it in my hoop in a way where I could use the sewn lines. I liked that extra touch. 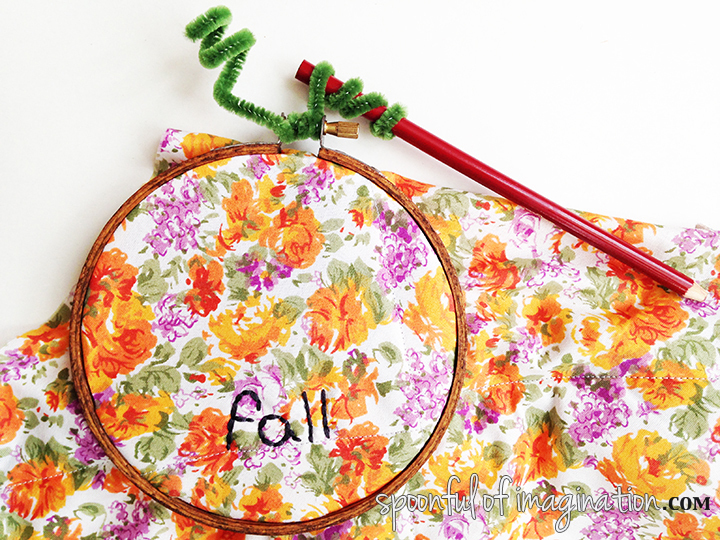 I hand stitched the word fall above one of the lines. I then twisted a green pipe cleaner around the screw at the top of my hoop to look like a vine. 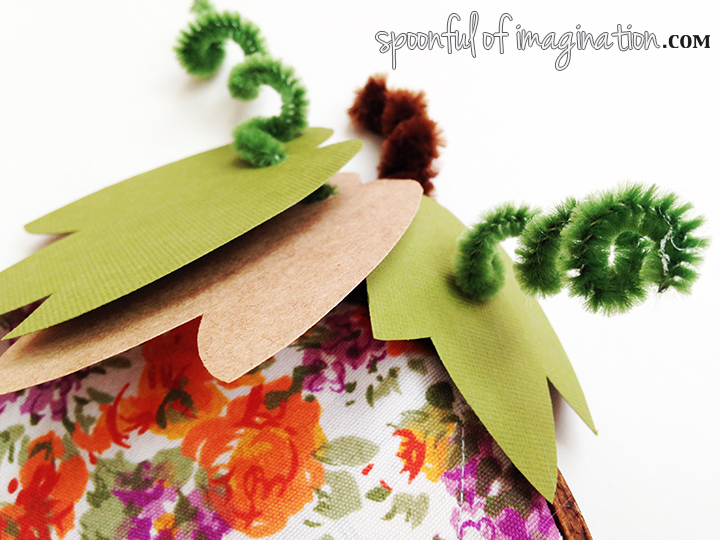 I cut some little leaves out of cardstock, punched holes in them, and fed them onto the pipe cleaner. I then twisted a brown pipe cleaner in half and around to look like a stem. 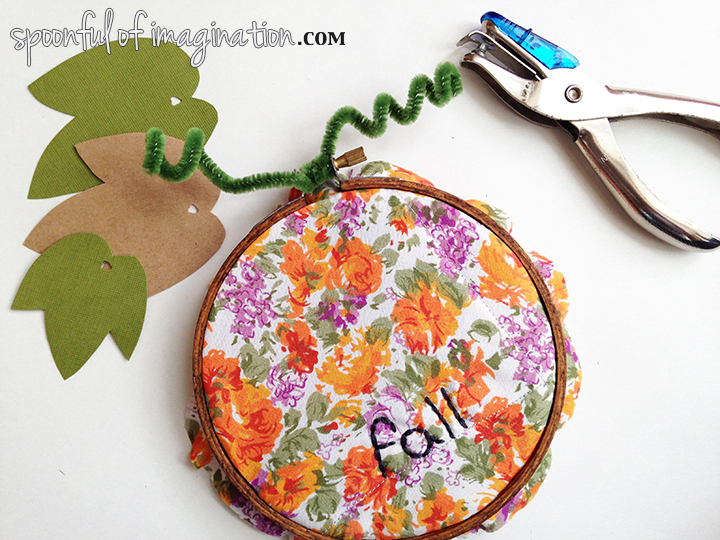 Next, I cleaned up the back of my hoop by following this tutorial, and then my hoop was done! I still haven’t decided if I will pull out all my fall decorations, since we are tying to move. It might just be simpler around here this season, but I will for sure use the fall decor I create and share with all of you. If you would like to see last year’s mantel, you can see it here. I think a collection of these pumpkins with different patterns and sizes would look so cute. It would be like your very own pumpkin patch. 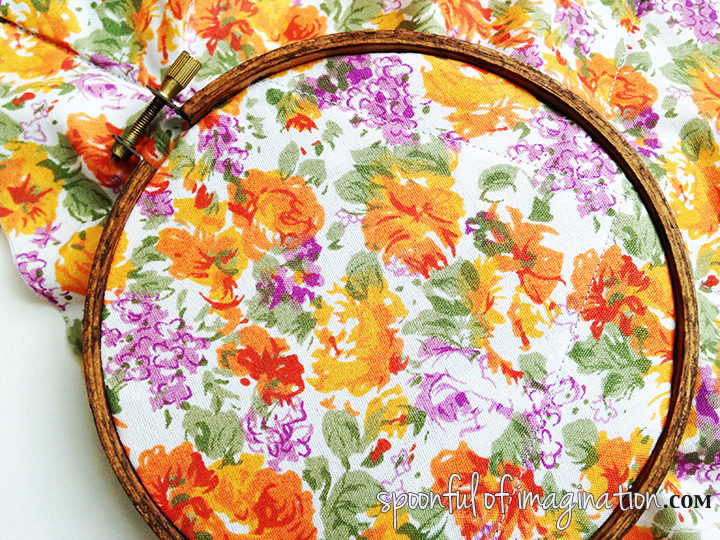 If you want to make these, but the embroidering step intimidates you-you could skip that step. It would be a simpler design, yet it would still be so fun! You could even paint your design on instead of embroidering. 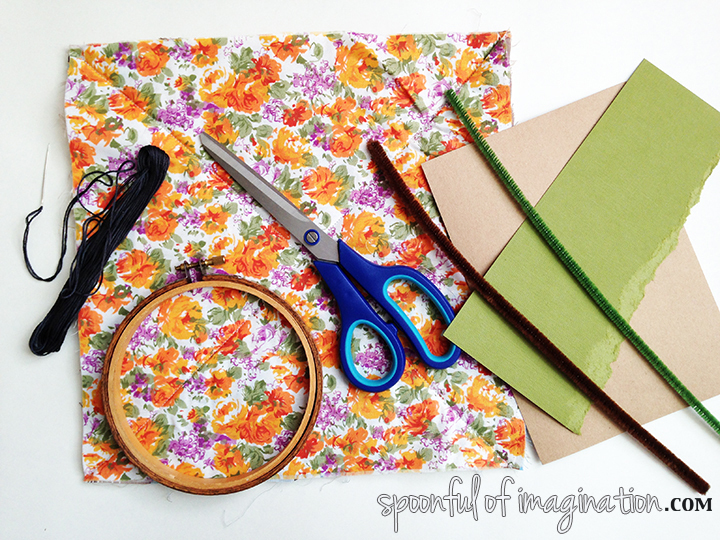 There are lots of possibilities, if you use your imagination! I’d love to see your pumpkins! Please tag me “ericadeuel” on instagram with your pumpkin pictures!